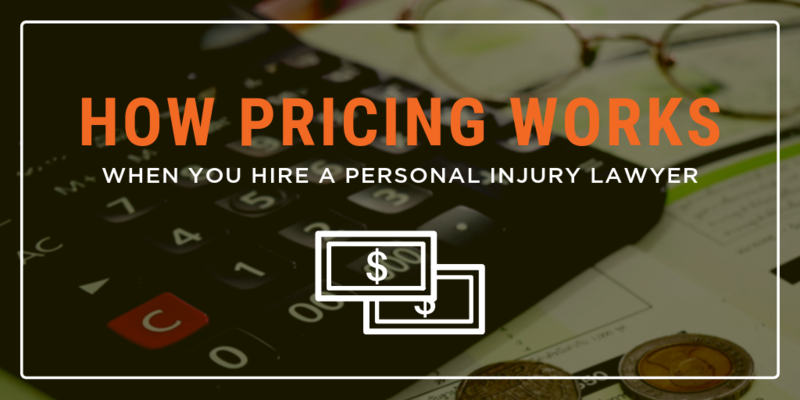 One of your first questions when hiring a personal injury lawyer is probably “how much is this going to cost?” Good news; we can break it down for you. Let’s start with the best part: most personal injury attorneys don’t require you to pay their fees up front out of pocket! That means you don’t owe the lawyer anything until they settle or win your case. Not only is this a relief for your wallet, but it’s also good incentive for a lawyer to secure as much compensation as possible for you. While this sounds great so far, your lawyer still has to get paid somehow. This happens through a contingency fee arrangement. Your personal injury lawyer gets paid via a percentage of your settlement once your case is closed. The fee is “contingent” upon the outcome of the case, hence the name. The contingency fee varies based on several things. The stage at which your case is in can also have an effect on the cost. Typically, you can expect a fee of 33% before suit is filed and 40% if the case heads to suit. As your case progresses, if there ends up being no case, you cannot be charged a fee for their time. They would walk away, even after performing weeks, or even months, of work on your case. That is the risk a personal injury lawyer assumes in helping injured parties. However, if your attorney wins or settles your case, be prepared for them to receive the settlement check and then contact you to go over the closing statement in order to get the remaining settlement proceeds distributed to you. In addition to the contingency fee, you can expect costs to be deducted from the settlement. The costs associated with aiding the attorney in developing and prosecuting your case are initially covered by the law firm and will be taken out of the settlement proceeds before you receive your proceeds. These “costs” may include things like depositions, medical records, police reports, and more. Your personal injury lawyer should be completely up front with you about their costs and fees. If you have questions, you should feel comfortable asking them. And lastly, if you switch lawyers during a case, just know that your previous lawyer may have a right to still charge fees and reimbursement of expenses. There are so many reasons why it’s important to find a lawyer that’s a good fit for you. Be sure to pick the right one the first time around, and call (833) CAPPY LAW!